3 weeks europe trip... doable? Buying 1 way ticket (economy) to either paris or rome as first stop. Then take train to switzerland. Then from switzerland take flight to norway to catch northern light before flying home from norway (biz class) back to sg. France (5 days) - besides paris where else recommended? Italy (5 days) - rome + venice where else recommended? Switzerland (6 days) - where to recommend to go? Norway (5 days) - oslo + tromso where else recommended? Norway (5 days) - Oslo + Tromso should be enough. France, the Pyrenees is gorgeous! Bordeaux, Toulouse, Lyon and Grenoble. Italy, Rome, Florence and Pisa. Nt sure if norway is part of EU, but is schengen visa. Cuz ur tax refund might have problem if Norway is not part of EU, i noe Switzerland confirm cannot cuz i took a train to Germany just to do tax refund lol. Norway stuff too ex to buy anyway hahaha. If ur wife like shopping i suggest make Paris or Italy last stop. Paris dun need stay so long unless u like museum, ppl rude, so many con man. Never really like there. U can go Colmar and Strasbourg tgt train from Paris. Never been to Italy so no comment. Switzerland, we spend most our time in Interlaken and Grindewald, Sledding for 3days straight. Hiking up to Faulhorn and do the long sled trail (1 day gone haha 4 hr treking, 1hr + sled ride stop mid way for cheese fondue). Last edited by ksapple; 04-04-2018 at 03:33 PM..
ya i concur. Norway food really on the high end.. end up some of the days we went to supermarket to cook ourselves at airbnb. Cos i read that dec for norway may have lots of bad weather so maybe less chance to catch NL. We plan to go from 17dec - 7jan... so put norway as last stop so it will be jan when we visit there. I love the french alps! I’ve heard it being called intimidating. 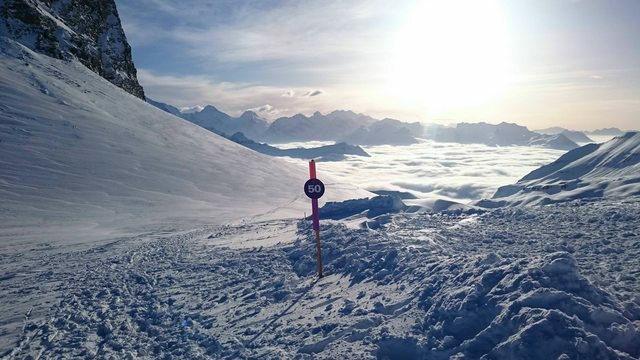 Food is cheaper and better than Switzerland but not all the lifts will be open in winter. I think we will put switzerland as our first stop so will buy 1 way biz class to switzerland (then from swiss take train to france-italy) then come back from norway economy class. For switzerland which airport better ah? We plan to visit interlaken, zermatt etc. Btw... anyone here taken norwegian airlines from europe to sg? Finally transfer 170k citi miles to krisflyer for the biz class trip to swiss!